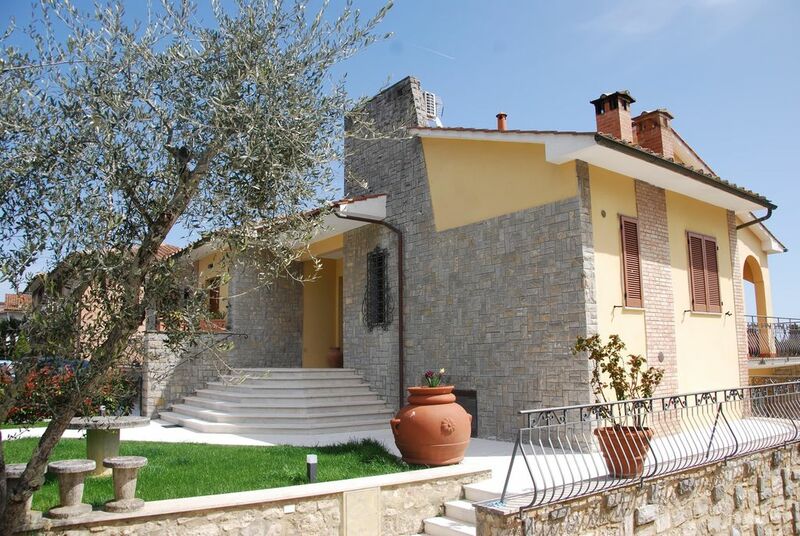 Virgi House is a newly renovated 160 sqm villa, located 3 km from the center of siena. The villa is distributed over three floors. On the first floor there is a double bedroom with a bathroom and a large open space living room, a modern kitchen and a bathroom. There is a double bedroom, a large bathroom, a study and a bright living room with a private bathroom and a garden. The property also provides free wi-fi, air conditioning in all rooms and a barbecue.